The share of bicycle traffic in Scharnhorststrasse is about twice as high as that of car travel, making it a suitable candidate. The street is seen as important to the wider cycle network, since it will form part of a so-called premium-route for cycling. 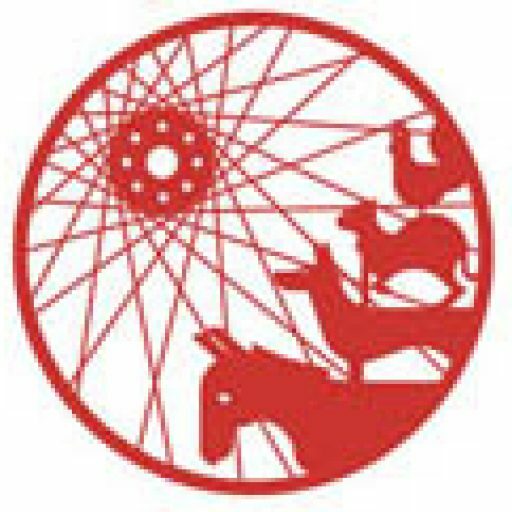 One wonders, however, which cycle network is being discussed. As yet, this does not exist. What we currently have is a patchwork without structure and meaningful connections. What is immediately apparent from the plans is that once again the conditions for setting up a cycle street are being only half-heartedly implemented. Scharnhorststraße is a two-way through road – as it stands not suitable for a cycle street. According to the ASV, the street will remain so, although it is contrary to all the guidelines and recommendations, which suggest it would be best to restrict motor access to local residents. Scharnhorststraße has many crossings with a right-before-left-regulation. This is, however, planned to be changed to give Scharnhorststraße priority at crossings. The existing kerb extensions, or bulbouts, which restrict traffic flow and serve the purpose of reducing traffic, are also to be removed. So far so good. However, according to the guidelines for Cycle Streets, this system would create unrivalled possibilities for motorised through traffic. A straight route with priority at every junction, which motorist would be against that?. The fact that the bulbouts also serve the many schoolchildren in the area as safe crossing aids, doesn’t seem to have troubled the Traffic Office. Nor indeed the loss of existing tree stock on the bulbouts. Improving provision for the motorist goes farther. One section of Scharnhorststraße towards the Kirchbachstraße end will be widened, green edges will be paved, and thus comfortable parking spaces are created. At some points in Scharnhorststrasse it is also planned that the kerbs be lowered in order to further facilitate car parking. Further damage to trees will surely follow. 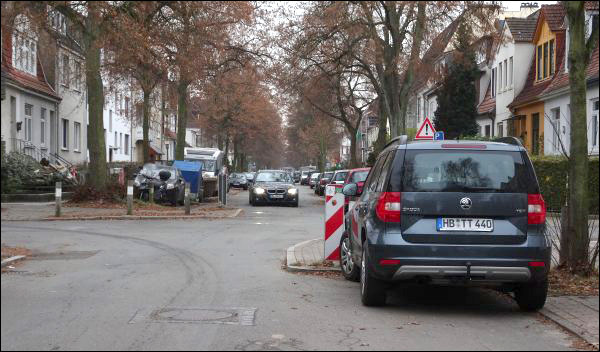 Even today, the trees in Scharnhorststraße are exposed to dormant traffic as motorists park their cars directly on the root area, causing permanent damage. Scharnhorststraße is already a road for cyclists. Its conversion into a Cycle Street is coming, and in principle is to be welcomed. However, the plans of the ASV are simply not good enough. Crucially, to make the road comfortable, and above all safe, for cyclists, motorised through traffic needs to be banned. 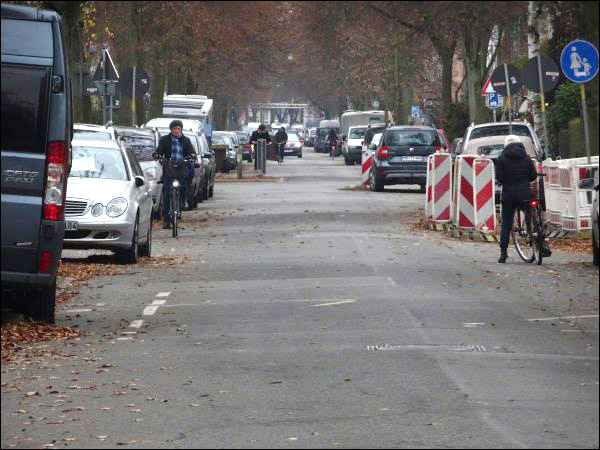 Without such a policy, the conversion of Scharnhorststraße to a Cycle Street as planned can only be described as a plan for encouraging motoring at the expense of the cyclist.